SCO 404, 2nd Floor, Sector 20, Panchkula - 134109, Haryana, India. 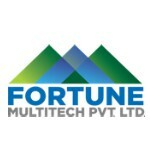 Fortune Multitech Pvt Ltd For over two decades, Chandigarh – North India’s largest city has witnessed a dramatic transformation in its people’s lifestyle. We, at Fortune Multitech, have been privileged to play a constructive role in this mammoth evolutionary exercise. A professionally to excellence that greets our customers at the doors of every Fortune Multitech home, each day of the year. Fortune Multitech takes the privilege of enjoying the reputation for quality which you can always bank on. A commitment towards quality that is endorsed by major housing finance companies and institutions are contributing towards building your dream house into reality today. With a vision to build houses for all, the group aims to continue offering luxury apartments at affordable prices to discerning citizens.